The DIRECTV H25 receiver just begs to be wall mounted. 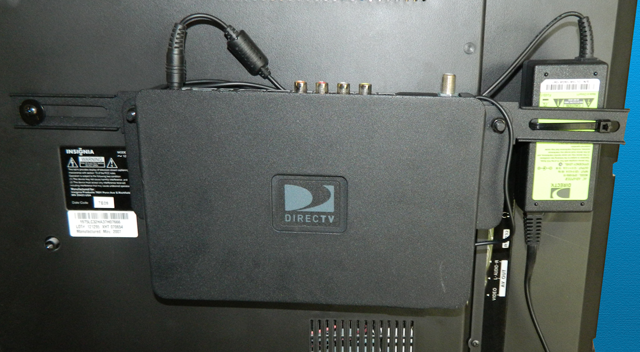 DIRECTV knew this and they developed a plastic wall mount for its tiniest receiver. The problem is, it’s not well suited to commercial applications. If you’ve got a bar, you may have your TVs mounted from the ceiling and you want the H25 mounted on the TV. Or, if you have a hotel, you want a secure mount that doesn’t allow your customers to steal an access card. You may want to mount the H25 to a stud, or you may even want to mount it to another mount. The plastic mount won’t do any of those things without some major cosmetic surgery. The Solid Signal Commercial Mount was designed with your needs in mind. Not only is it solidly made, it comes with rails that will allow you to mount it any way you want. 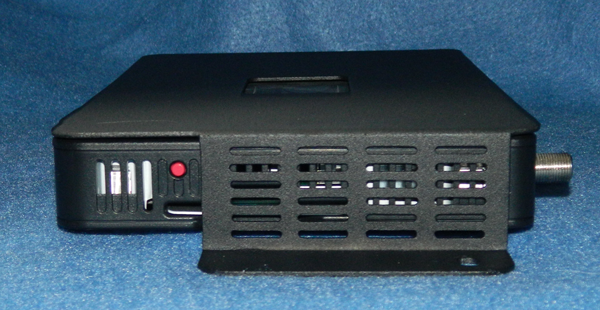 This is an exclusive product only available at solidsignal.com, and built to our exacting specifications. The mount adds practically no size to the H25, and clips snugly to the H25 without glue, tape, or screws. Friction holds it in and when it’s mounted, it should be able to hang from a pole on the back of a TV without any concerns. Although the kit comes with Phillips-head screws and hex nuts, you can substitute security screws and nuts to make it more theft-resistant. 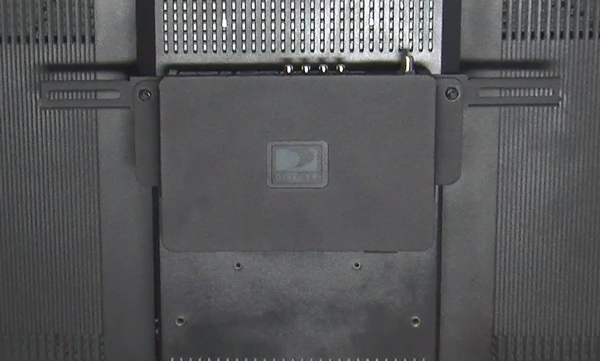 As you can see, the sides of the mount have ample vent holes to make sure the H25 runs cool, but they still manage to keep the access card protected. In a neat little trick, the reset button is still completely accessible. 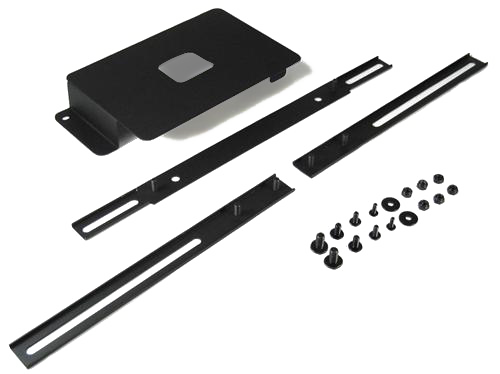 The mount is designed to work best with TVs that have the larger VESA mounting pattern. This would include pretty much every TV over 32″ diagonal and most 32″ TVs as well. 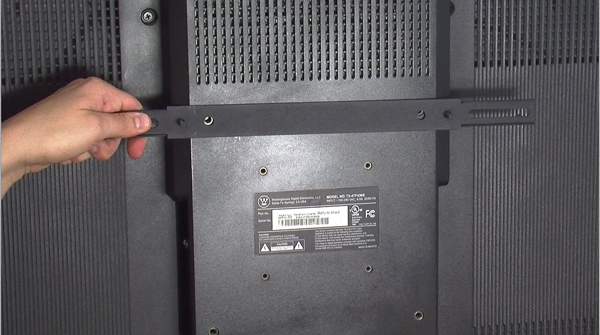 Pre-drilled holes in the base rail line up perfectly with the VESA mount points, and supplied Phillips-head screws secure it to the back of the TV. After putting the H25 receiver in its mount, check that the red reset button is still accessible. It’s possible to put the mount on so as to hide the reset button by turning it 180 degrees. It’s your choice, but most folks will still want access to that button. From there, slide the mount onto permanently attached threaded bolts on the base rail and tighten the supplied nuts with a 10mm wrench or socket. If you have English wrenches instead, a 13/32″ wrench or socket should also do the job. From there, the power adapter can be mounted on the base rail, or use one or both of the supplied extension rails to add mount points for the power adapter, RF antenna, or other accessories. Black zip ties are great for this task. 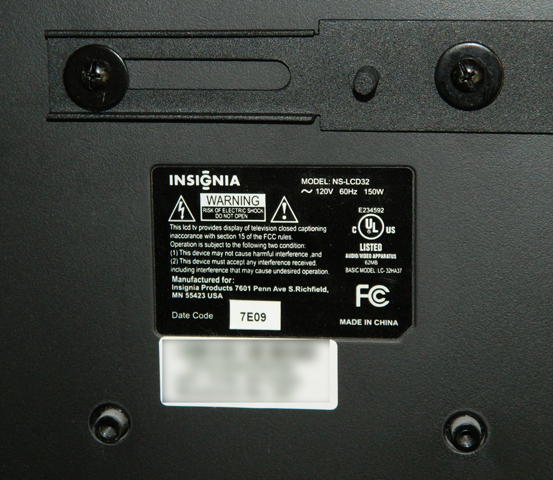 While most larger TVs do use the larger VESA pattern, I did find one 32″ TV that only had the smaller mounting holes. The commercial mount works great there too. The base rail mounts off-center and there are a smaller set of supplied screws that correspond to the smaller thread of those holes. From there, mounting was the same, and this particular TV had the perfect spot for mounting the H25 power adapter in the space behind the protruding rail. I secured it with a black zip tie. While the H25 isn’t that heavy, you may want to use the full extension rails shown above to allow you to mount it to two studs. There are protruding threaded bolts that allow you to attach the extension rails to the base rails, and the extension rails are slotted across most of their width, meaning you should be able to use nuts and bolts to secure this mount to another protruding mount and it should stay secure. For commercial installs, this mount should solve any mounting problems you’ve had with the H25… and be a solidly-built part of your installation for years.